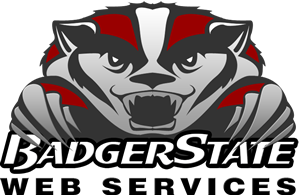 Badger State Web Services specializes in the day-to-day management of your email services so you can stay focused on your business. We make it simple for your company to communicate and get things done by offering a variety of reliable, business-class email solutions to meet your needs. Deliver email to your users’ favorite clients—from desktop Outlook® to an iPhone®. 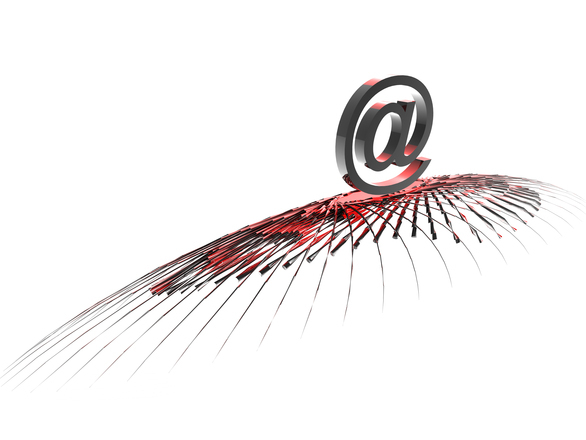 Enjoy a professional appearance and experience with email@your-domain. Large mailboxes that your users will have a tough time filling up. Let us migrate you, or choose our easy-to-use migration tool. Either way, our Migration Team has your back. Three-layer scanning helps to keep your Inbox safe. Ask us for more info about our anti-spam and anti-virus scans. Combine Standard Business-Class Email and Hosted Exchange® on the same domain for a setup that saves you money. Quickly & easily set up a user’s Outlook with just their username and password. SSL encryption hides data during transmission. Recover messages in Webmail or recover a deleted mailbox in Control Panel for up to 14 days. That’s twice the size of many of our competitors! Set filtering rules to deliver messages wherever you want. Set up as many email addresses as you’d like and point them at your main email address. Single user with two domains? No problem. Receive email for both domains in one inbox. Keep email flowing between our system and yours, simultaneously—helpful during your migration. Sync your Active Directory with your mailboxes for easy login and management. Email Archiving with unlimited storage and retention. Huge mailboxes that your users will have a tough time filling. Let us handle it, or choose our easy-to-use migration tool. Either way, our Migration Team has your back. Three-layer scanning helps to keep your Inbox safe. Learn more about our anti-spam and anti-virus scans. Access email on the go! Free for iPhone®, iPad®, Android®, and Windows® smartphones. Combine Business Class Standard Email and Hosted Exchange on the same domain and save money. Manage your mail from any browser, anywhere, anytime. Users can connect their iPhones to their email with just email credentials—no help needed! That’s twice the size that many of our competitors offer! Get 25 public folders with 250MB storage each to collect, organize, and share information. SSL encryption hides email data during transmission. Recover messages in Outlook for up to 14 days. Restore an entire deleted mailbox for up to 30 days. Email archiving with unlimited storage and retention, for just$5.00/mailbox/month. Connect your BlackBerry device to our BlackBerry Enterprise Server ($Additional/Phone per month). Create free mailboxes to schedule use of your conference rooms, equipment, and more. Share contacts company-wide via Global Address List (GAL). Share your calendar or view others’ calendars, making scheduling a breeze. Unlimited distribution lists for sharing information with specific groups. The productivity apps you depend on. Allow another person to send and accept email on your behalf – perfect for executive assistants. Fully integrated instant messaging and video chat. $Additional/user/month. When you go Google, you’re in good company. Rely on a platform trusted by over 5 million businesses. Google Apps for Work helps your team to better connect and collaborate with secure and easy to use email and productivity tools in the cloud that can be accessed from anywhere, on any device. Over 5 million businesses use Google Apps for Work to Increase team productivity, Reduce IT costs, & Decrease IT maintenance. Google Apps for Work delivers the tools that your teams need to be their most productive. Badger State Web Services Support for Google Apps for Work makes set up and day-to-day management easy, and eliminates email headaches. Access your email on the go from any device. Delivered with Gmail’s spam protection, search and integrated calendars and backed by a 99.9% uptime guarantee. Starting at 30GB of storage per user. Google Drive makes it easier for teams to collaborate and manage documents by easily storing, accessing and sharing files. Meet face to face with anyone and help employees connect with video meetings through Google Hangouts. Shared calendars and Google Docs deliver the tools workers need to plan and collaborate. All plans include user migrations and on-boarding by our team of Google Certified Deployment Specialists. Have an existing subscription that you would like to transfer to Rackspace? For Local Search a website is almost useless unless search engines can find it. Every month on Google are conducted over 100 billion local searches. You should be getting found online and outranking your online competition with a top of PAGE ONE listing. You are just a step away of it. Our SEM services is suitable for most verticals of brick and mortar type small businesses. We can help you!